Looking for cheap domestic flights on SA Airlink? Instantly compare and book your own Airlink flights with FLYAirlines, or find out more about this leading SA airline here. 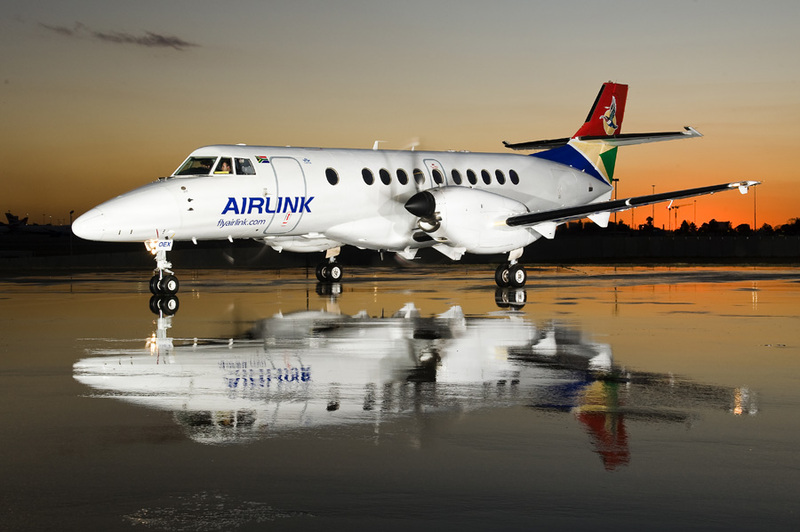 Headquartered in Ekurhuleni in Gauteng, South Africa, SA Airlink (www.flyairlink.co.za) is a privately owned local airline specializing in flights to smaller towns and regional centres across South Africa. 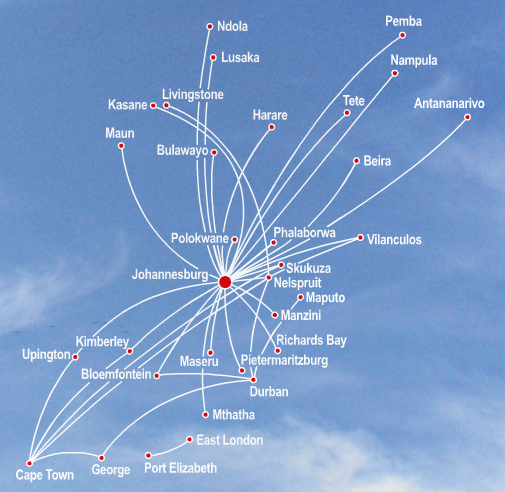 It developed SA’s first feeder flights network, and has codesharing and schedule coordination agreements in place with South African Express and South African Airways. Airlink was launched in 1978 through the incorporation of a number of airlines, including Midlands Aviation, Border Air, City, Air, Link Airways as well as Magnum Airways and Lowveld Aviation Services. It joined SAA and SA Express in a strategic alliance by 1997, and also holds a 40% share in Swaziland Airlink, another regional airline. Flying under the slogan “Freedom Of The African Sky”, the airline operates regular scheduled flights to 36 domestic and regional destinations utilizing a fleet of 36 aircraft. As of the beginning of 2017, Airlink flies to Cape Town, Durban, Johannesburg, East London, George, Kimberley, Pietermartizburg, Phalaborwa, PE, Pretoria, Upington, Skukuza, Sishen, Nelspruit and Mthatha in South Africa. Within Botswana, the airline flies to Kasanen, Gaborone and Maun. Further afield, the airline flies to Maseru in Lesotho, Antananarivo in Madgascar, Beira, Maputo, Pemba, Tete, Vilanculous and Mampula in Mozambique. Additional regional destinations include Windhoek, Livingstone, Lusaka and Ndola in Zambia, as well as Bulawayo, Vic Falls and Harare in Zimbabwe, as well as Manzini in Swaziland. As of the end of 2016, the SA Airlink fleet includes 12 Avro RJ85, 7 BAe Jetstream 41s, aswell as 22 Embraer ERJs (various models). FlyAirlink is currently advertising the following fares on their website (22 May 2017): Johannesburg to Pemba from R5990 Return, Johannesburg to Mthatha from 1250 One-Way, Pretoria to Cape Town from R1790 One-Way, Harare to Johannesburg from USD310 Return, Vic Falls to Cape Town from only USD270 and Johannesburg to Nelspruit KMIA from only R1050 One-Way. Please note that these special fares are sold on a limited stock basis, and may not be available into June 2017 and beyond. The free baggage allocation aboard SA Airlink flights are as follows: Business Class passengers are allowed up to 30kg checked luggage, while Economy Class passengers can only check in baggage weighing 20kg or less. For more information on this topic, click here. Fly Airlink recently garnered some favourable press when it landed a 60-person charter jet on St Helena. The airline has been gaining negative press in terms of a potential merger of SAA, SA Express and Airlink itself due to the airlines’ ailing financial situations, but nothing has been confirmed by the South African Government as yet. The airline also acquired additional Embraer jets in the first quarter of 2017.